Hamas says reports in Israeli media about negotiations on new prisoner exchange deal are lies. Hamas on Wednesday denied reports in Israeli media about negotiations on a new prisoner exchange deal to return the bodies of Israeli soldiers and civilians held in Gaza. "The statements published by the office of the Prime Minister of the Occupation, Binyamin Netanyahu, are lies directed at his people and intended to cover up his failure to manage this issue," the terrorist group said in an official statement. 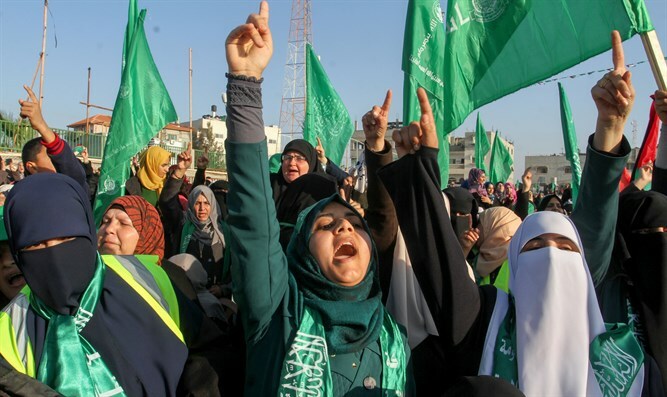 The Hamas statement came in response to officials in Netanyahu's office who were quoted by the Israel Hayom newspaper as saying that progress had been made in negotiations over an exchange deal. Last week, Hamas leader Ismail Haniyeh said the group was ready to negotiate with Israel on an exchange deal. On Tuesday, however, Israel Hayom reported that a dispute has broken out within the higher echelons of Hamas that is preventing the terror organization from reaching an exchange deal.